From time to time, friends have pondered the path of Madison area students after graduation. 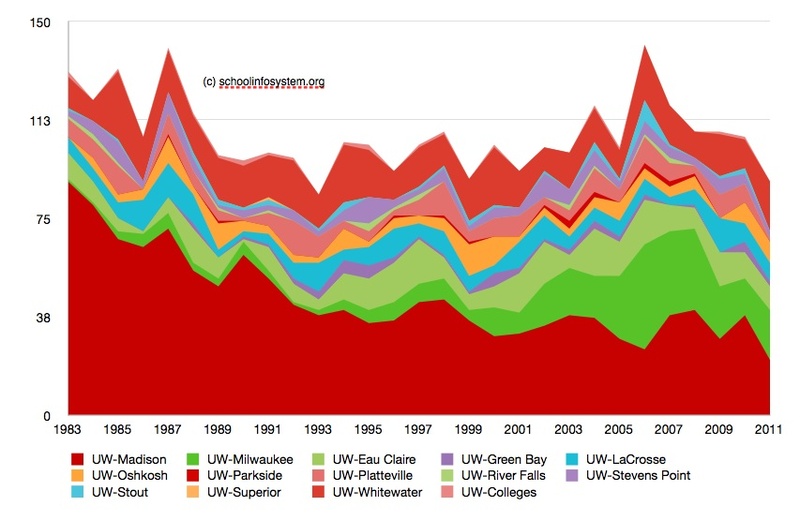 I've begun to compile Freshman enrollment data from the UW-Madison and UW-System. 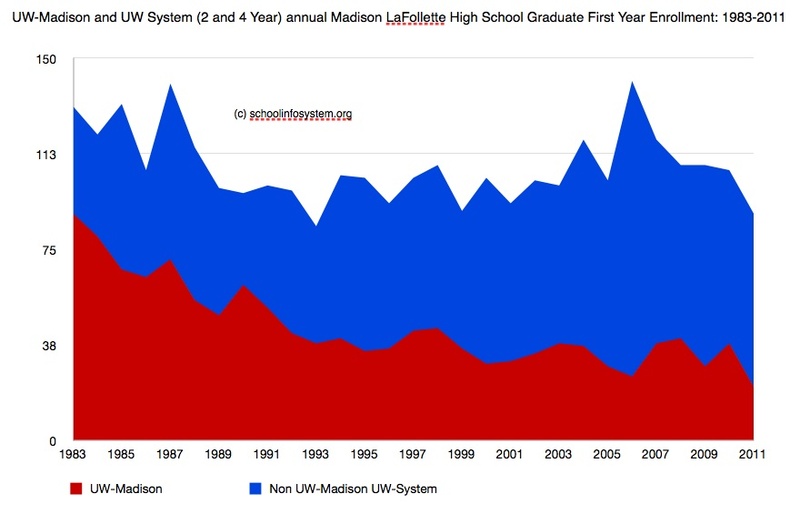 These charts illustrate Madison LaFollette High School graduates first year UW enrollment from 1983 to 2011. This is of course, just part of the picture. I hope to address other paths over the next few months.